Happy Friday, everyone!! Did this week fly by, or is it just me? Thank you all so much for your precious comments on yesterday's post. It feels good to know that you all share my sentiments on blogging, you make me feel so warm and fuzzy. Well, you know how we roll around here on Fridays, right? 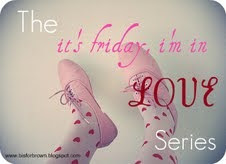 Thanks to the 'It's Friday, I'm in Love Series' we can celebrate Friday to the fullest! 8. This week's episode of Glee, watching the 'Madonna' episode last night, and next week's 'Lady Gaga' episode. 10. This post. The Brownies need lots of love and support right now. It's Friday, what are you in love with? 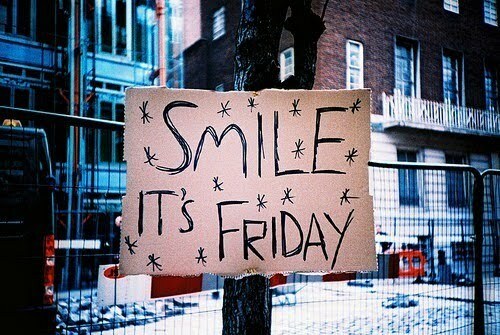 im in love with the fact tht its friday (: hahah and love reading ur blog. I'm loving next week's Glee episode and that bookshelf :) Have a fantastic Friday! That bookshelf is insane! Love it, with all those yellows! 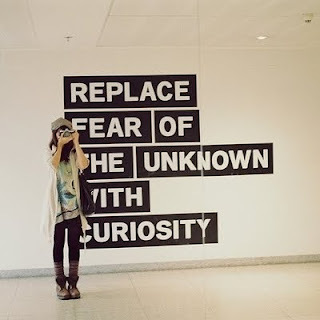 Great post, Julie, enjoy your weekend! Great pics!! And your First Lady, Michelle O, is stunning!!! Yay for friday and being in love! Hi my sweet, sweet Julie Belle!! Happy Friday to you darling girl and thank you for being such a bright spot in my life this week! I am so excited about our little project I could burst at the seams! This post is so chocked full of awesome, where do I begin? The Lilly dress is FABULOUS, cards in the mail are the absolute best (THANK YOUUUUUU! 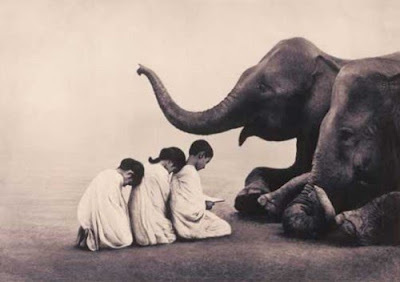 ), I am needing a G-Chat with you this weekend or early next week, pretty please? SATC2 countdown, yes yes yes, wish we were going together! Praying for the Brownies of course and the Madonna Glee episode was like the most amazing incredible thing EVA! 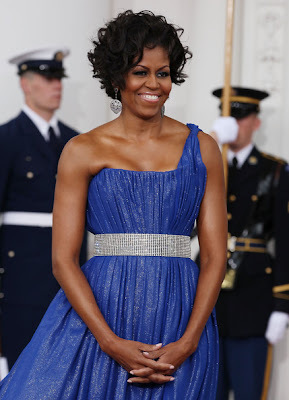 I am dying over those dresses - I absolutely adore blue! Thanks for all of the lovely images - they made me smile. Have a great weekend! I love those bookshelves! I have a dream house folde on my computer and this picture is going there right away!! I love cute notecards, especially if there's glitter sprinkled on them!! And of course, you know I love sjp!!!!! 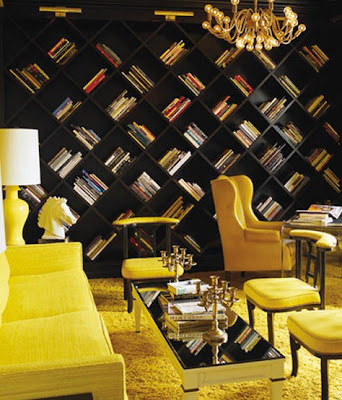 those bookshelves are to die for!! have a great weekend! 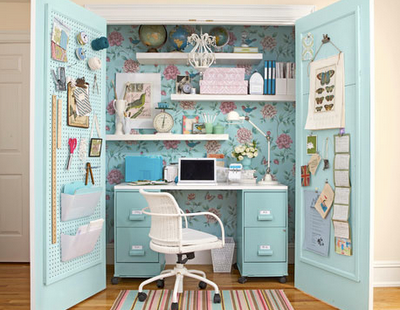 Those bookshelves are awesome. I'd love to have an entire wall like that.